This Hugs book features Minnie Mouse in an adorable story about friendship. 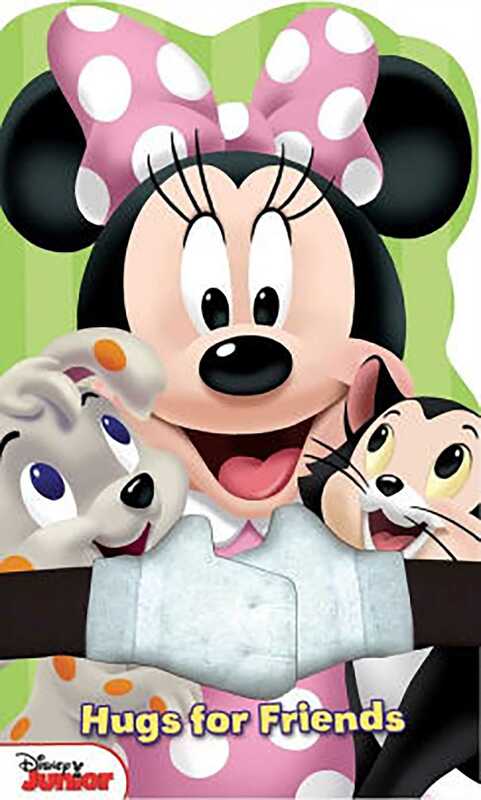 Minnie has lots of freinds--and they all love to be helpful around her Bowtique! In this huggable book, find out how Daisy, Figaro, and Minnie's adorable twin neices make her job easier. Adorable plush arms interact with the pages so readers can help Minnie hug all her best friends.